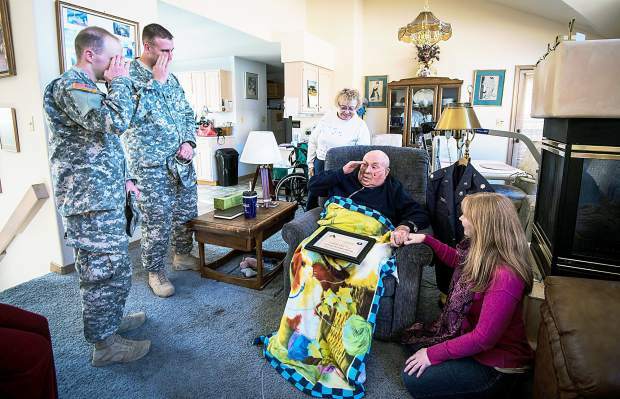 Richard Johnson and Sean Goodman, members of the Colorado Army National Guard, present a We Honor Veterans certificate to Glenwood Springs resident and veteran Buck Buckmaster. The honor was given as part of HomeCare & Hospice of the Valley's thanking veteran hospice patients for their service. Standing behind Buckmaster is his daughter, Connie Bunch, and to the right is Laura Guerrero, registered nurse.